Apollo: The Panoramas is a hardcover book containing over 50 stunning lunar surface panoramas from the Apollo missions to the Moon. Cover shows Apollo 16 Commander, John Young at the Lunar Rover. Having spent the last 15 years assembling high resolution, seamless panoramas from the Apollo Missions, Mike Constantine has compiled over 50 stunning panoramas into one book, “Apollo: The Panoramas”. 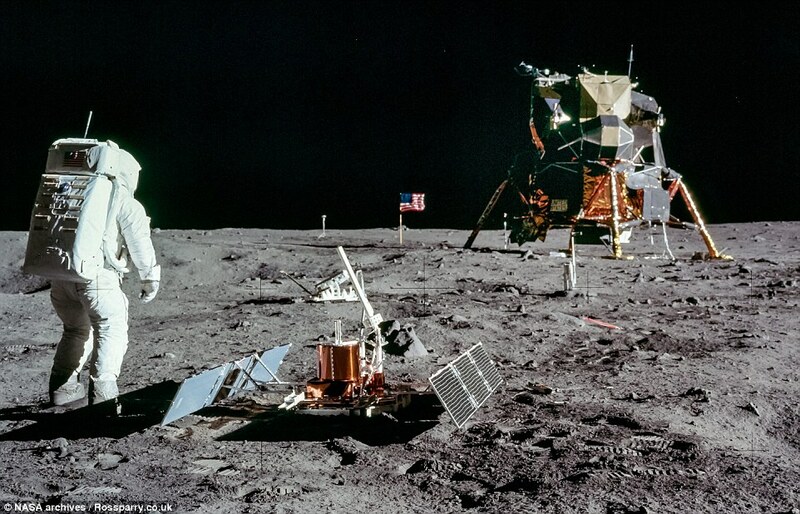 Each panorama spans a full double page spread, and includes almost every panorama captured on the lunar surface, as well as pans captured from the LM Windows and the stand up EVA on Apollo 15. Each panorama has a detailed description by the author plus most also have exclusive comments from the Apollo Moonwalkers who were actually there. Alan Bean, Edgar Mitchell, Charlie Duke and Harrison Schmitt. Got it today in Italy. I couldn’t expect better, all pictures are astonishing and I can easily say this is the best KS project I ever backed (quality, price, time, everything perfect). Thanks! I received my book yesterday in the US, it looks fantastic! The book is a birthday present for my dad who is a retired professor of aviation and aerospace history (he also wrote Stages to Saturn among other books). We are celebrating his birthday tomorrow so the timing is perfect. Thanks! Received my book yesterday, it’s awsome. Nice job Mike! Hi Mike. I backed this book because I believe in what you are doing. I am so glad that I did. What an awesome book. Thank you for all of the hard work and time you have put into this. Got my book in brittany / France this afternoon , it’s perfect, thnx . My book arrived this morning and looks fantastic! Everyone who’s looked through it has been really impressed 🙂 Many thanks!